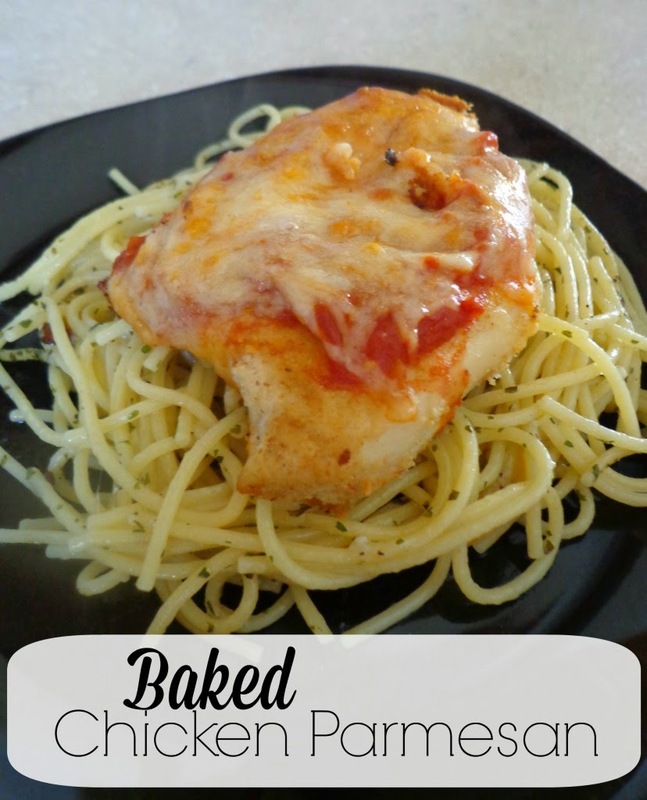 I found this Baked Chicken Parmesan recipe via Pinterest last summer… but it came from Skinnytaste… enough said, right? I haven’t gotten a single bad recipe from Skinnytaste and this is another amazing one. We actually just had it again for dinner last night because it was just so good! But this next part I’m going to share, is not a WW recipe, and throws off my entire “good for you for eating right” recipe. I’m not sure where this recipe came from. I’ve made it for a lot of years and I just don’t remember. Cook pasta as directed. Heat 10 in. skillet over medium heat. Cook parsley and garlic in oil. Stir frequently until garlic is golden. Drain pasta, mix in garlic. Sprinkle with cheese and pepper. This is a great side dish that you can whip up quick and adds a great taste to your dinner! Enjoy! Wow! This looks yummy and easy to make! Will have to try it. Love your blog btw!